M.Ayoubi, S.Ravichandra, " SEDA-SOA: A Scalable Event -Driven Context-Aware Service Oriented Architecture ", 2018, 9th International Conference on Computing, Communications and Networking Technologies (ICCCNT), 10-12, July 2018, Bengaluru, INDIA ieeexplore.ieee.org. Vinay Raj, S.Ravichandra, " Microservices: A Perfect SOA Based Solution for Enterprise Applications compared to Web Services", 2018, 3rd, IEEE International Conference on Recent Trends in Electronics, Information and Communication Technology (RTEICT-2018), 18-19 May 2018. Co_Cordinator for Two-Week, MHRD Refresher course on "Theory and Practice on Data Mining Techniques", from 8-20, june 2009. Co_Cordinator for a Five Day workhop on "Opensolaris Operating System A Programmers Approach" Organised by Dept of C.S& E , N.I.T Warangal from June -16-20, 2008. This workshop is sponsored by SUN Microsystems, Bangalore. Co-Cordinator for A Five day workshop on "Object Oriented Software Engineering A Pragmatic Approach" organized by Dept of C.S&E , N.I.T Warangal from May 29th 2006, to June 2nd 2006. Training Programme on "Intel Multi Core" conducted by Intel Bangalore from 6-12-06 to 9-12-06. Participated in International conference on "Database Engineering and Applications (IDEAS 06)" at IIT-Delhi from 11-12-06 to 13-12-06. Participated in International conference on "Managing of Data (COMAD -06) "at IIT-Dellhi from 14-12-06 to 16-12-06. Participated in the Faculty Training Programme on" Data Warehousing" held by Accenture under the aegis of the NASSCOM IT Workforce Development from 17-10-07 to 18 -10-07. Participated in One Week training programme on "Oracle 11i System Administrator Fundamentals" at Oracle University, Pune from 15-12-08 to 19-12-08. Project Title: Solving Discrete Logarithm Problem over GF(2 n ) using Function Field Sieve Methodï¿½?? Project Title: Development of an Information Management System for Operationalizing Maternal Neonatal and Child Health (MNCH) in a CHNC Areaï¿½?? Project Title: Software Prediction tool development for Schema Changes in Relational Databasesï¿½?? (a) Software Tutor for Experiments with GM Counterï¿½?? Project Title: Design and Development of an Android App named "ï¿½?Welcome to Medaramï¿½?? Faculty In-charge Telecom centre, Internet, Email and NIT Website. Remote centre coordinator for NIMCET workshops. Technical member in Developing and Deployment of ICET-2012 Web Portal for conduction of MCA & MBA admissions for Universities and Post Graduate Colleges in Andhra Pradesh. Core Member in Administering the campus LAN. Core member in College WEB and MIS Committee. Treasurer for Computer Science and Engineering Association. In-charge for Department Purchases and Department Operational Costs (DOC). Systems In-charge for Open Source Development Laboratory. Time Table In charge , Dept of C.S & E for 3 years. Executive Council member , NIT ISTE local Chapter & TWANITW( Teachers Welfare Association of NIT Warangal). Accompanying Faculty Member for Educational Tours in the year 1999-2002. 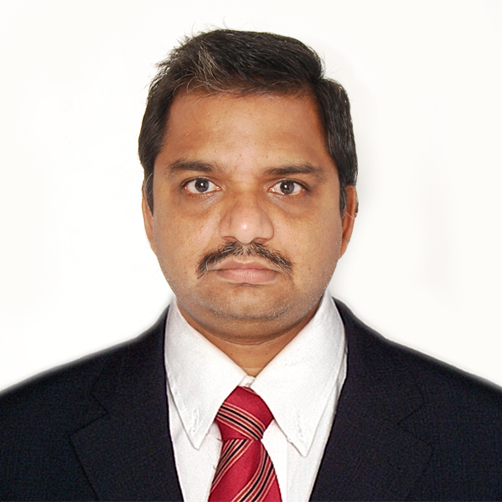 Secretary for the Department of Computer Science and Engineering, NIT Warangal . Nominated as External Member Of Board of Studies in Computer Science and Engineering and Information Technology Courses under kakatiya University , Warangal, Telangana State , India.